Should You Be Concerned About Apple’s Dividend Announcement? 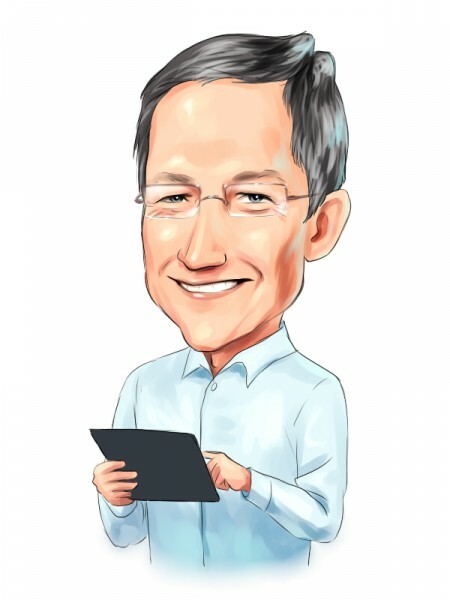 If investors are concerned that the announced dividend is a sign of a maturing company, Apple (NYSE: APPL) CEO, Tim Cook, made sure to address these concerns in this morning’s call. Cook repeatedly emphasized his confidence in AAPL’s future growth prospects but did not provide an update on the current quarter. One of the many markets he is excited about is the handset market, which is expected to grow from 1.6 billion in 2011 to over 2 billion by 2015, with the majority being smartphones, offering huge potential for iPhone. In its most recent quarter, AAPL sold 37 million iPhones, which represents less than 9% of total handsets sold during that quarter. That being said let us take a look at the iPad 3 launch results and the dividend and share repurchase program, which will total approximately $45 billion of domestic cash over the first 3 years of the program. iPad 3 launch was very successful. The Company had a record for opening weekend sales for the new iPad, which launched last Friday. We found this popular response unsurprising given that features like 4G LTE and Retina Display were included in the third generation iPad. As a result, many sell-side analysts have increased estimates for FY12 iPad sales. Though AAPL did not release statistics for the weekend sales, sales have been estimated at 2 million units, which is double iPad 2’s first weekend sales of 1 million units. We add that the new iPad rollout will accelerate on March 29, when the product is launched in another 25 markets. Dividend helps expand shareholder base with income-seeking investors. The1.8% dividend (based on share price of ~$585) is in-line with the widely expected 2% dividend yield. The $2.65 quarterly dividend will begin in September of this year. Management expects dividend payments to be over $2.5 billion per quarter, making it one of the highest dividend payers in the US. AAPL is funding the dividend with US cash holdings and will periodically reassess the dividend rate. Competitor Microsoft (NASDAQ: MSFT) has a 2.5% dividend yield and Google (NYSE: GOOG) has no dividend. On the PC side, competitor Hewlett-Packard (NYSE: HPQ) has a 2% dividend yield and Dell (NASDAQ: DELL) has no dividend. Share repurchase will neutralize share dilution. The authorized $10 billion share repurchase program over the next three years will help to address concerns regarding dilution by future employee RSU grants. AAPL expects to spend $4 billion in the first fiscal year of the program. Cook’s RSUs will not be included in the program. Management did consider a stock split, but ultimately came to the conclusion that it would not be in the best interest of the shareholders. AAPL, currently held by notable hedge fund managers Dan Loeb, John Kleinheinz, and David Einhorn, has achieved its goal of expanding its investor base while rewarding existing shareholders with the announced dividend and share repurchase plan. The Company is an industry-leader in innovation and we too, are optimistic on AAPL’s product pipeline with the iTV set to launch this year and future product “refreshes” for the iPad, iPhone, and Mac. In spite of the large cash outlay, we believe that the Company not only has plenty of cash left on he balance sheet but also continues to manage its cash balance well to look opportunistically at internal and external growth prospects. Admittedly, management does not have “magic number” for a cash number but we are confident that they will exercise good capital markets judgment through continual evaluation to determine how much should go into a buyback, dividend, investments, etc. We are still very bullish about Apple which has a very reasonable 2012 forward PE ratio of 13.5. Google’s forward PE ratio is 25% higher than Apple’s despite their similar expected EPS growth rates. Microsoft’s forward PE ratio is 12 which is slight discount to Apple. However, we believe Apple is a better bet at this point. Dell and Hewlett Packard have single digit forward PE ratios. Tech stocks are very popular among hedge funds (read more 10 Most Popular Stocks Amongst Hedge Funds) and we believe they will outperform the market over the next couple of years. Buying Apple is still the single best thing you can do to benefit from this.